Getting a cheap car loan should be one of your biggest priorities when looking to buy a new car. Getting a lower interest rate can make a huge difference when it comes to your monthly payment and the amount of money that you spend for the car overall. Here are a few things to consider about finding a cheap car loan. One of the biggest factors in whether you will be able to get a cheap car loan is your credit score. Every lender that you could possibly work with is going to want to take a look at your credit report and your credit score. Each lender is going to have their own individual requirements when it comes to what credit scores they will be willing to work with. However, as a general rule, the higher your credit score is, the better interest rate you are going to be able to acquire. If you know that you are going to be purchasing a car in the next few months, you might want to get a copy of your credit report now. This will help you identify areas in which you could improve your score and start working on them. Typically, it takes a few months before changes will be reflected on your credit report, so it is important to get started as soon as possible. The difference that it could save you in interest charges could be substantial. When you are trying to get the best deal on a car loan that you can, you need to make sure that you compare different banks. Do not simply walk into the first bank that you see and sign up for an auto loan. When you do this, you will not really know what interest rates are available, and you will not know if you are getting the best deal. The lending industry is very competitive, and lenders might be willing to negotiate better rates in order to gain your business. If they know that you are shopping around, they will be much more likely to give you a great deal. When shopping around, you might also want to consider looking at credit unions as well as banks. Credit unions are known for having slightly lower interest rates than most banks. Since they are nonprofit organizations, they do not have to pay taxes to the government and can offer lower interest rates to their customers. This means that you need to definitely check them out when it comes to shopping for a car loan. Most individuals go directly to a car dealer before inquiring about financing. While this is common, it may not necessarily get you the best deal on a loan. You should be able to get a better deal by completing the financing before you start shopping for a car. 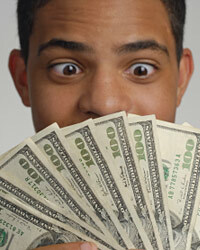 Many car dealers will use various tricks to take advantage of consumers when it comes to financing. If you can secure outside financing, you will be able to get the best price that the dealer can offer you.